A simple H2O sample could remedy the lingering bad taste left in mouths of Hawke’s Bay residents, following the water woes of 2016. 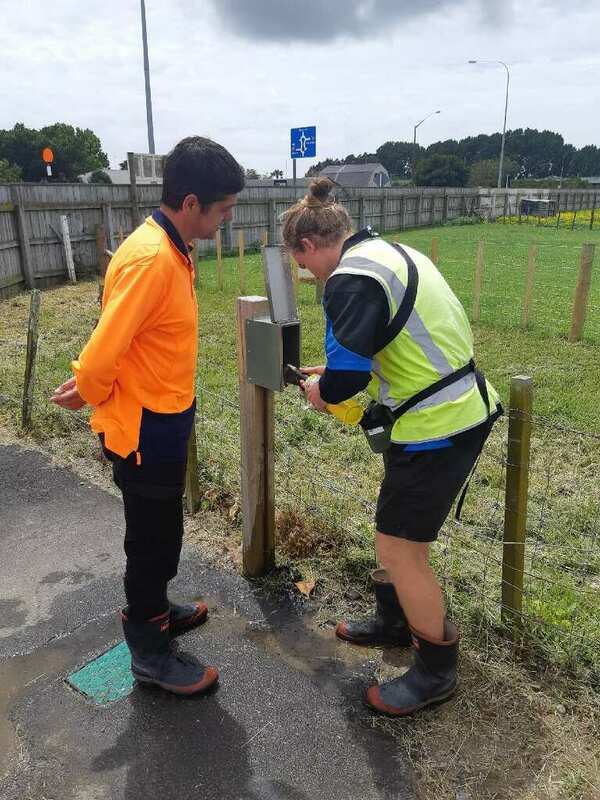 Ministry of Health (MOH) approved and IANZ accredited laboratory, Water Testing Hawke’s Bay (WTHB), has joined forces with Isaac’s Plumbing, Pumping and Electrical to bring water standards up to scratch throughout Central Hawke’s Bay and Hastings. Testing is compliant with new national Drinking Water Standards, set to take effect from March. This change follows a serious contamination of Havelock North’s water supply in 2016, which caused thousands of people throughout the region to fall ill.
“The way we view water has changed entirely. We feel it’s really important to be on the front foot when it comes to ensuring water supplies are safe,” Isaac’s Director Gavin Streeter said. The arrangement with Isaac’s establishes a WTHB depot in CHB which will enable residents, businesses and schools easy access to accredited testing services. Drop off is available during retail opening hours of 6.30am to 5pm – and will include testing of spa and pool water. “We are pleased to be working with Isaac’s as many of their services are complementary to ours – and there are many synergies between the two businesses; professionalism, qualified and experienced staff, high quality service standards and a focus on water,” WTHB General Manager Cynthia Bowers said. When results are returned to the client –Isaac's will be able to help determine the best solution going forward. Mr Streeter said this could include treatment of water tanks, changing of pipes, or installing a filter. ​Thanks to everyone who visited our stand at the East Coast Farming Expo this week. 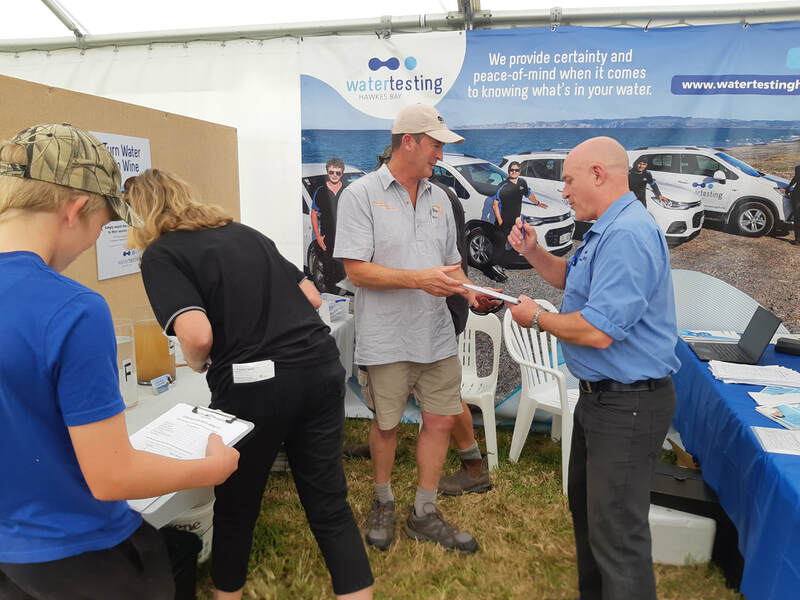 We had a great time meeting people and it was awesome to see the interest in Water Testing Hawke's Bay and the services we provide to enable people to know what's in their water. The winner of the Turn Water into Wine competition was Cameron Bishop from Matamata. Twelve bottles of Hawke's Bay wine will be winging their way to Cameron next week. The consolation prize of six bottles of Hawke's Bay wine goes to Tom Addis from Wairoa. Cameron and Tom were the only entrants to correctly identify the source of each container of water. Congratulations to both of you. Well done to all entrants. It was a challenging competition and we were impressed at the level of thought that went into each entry. A new sampler has recently joined our team for the busy summer season. Darcy Garland has just completed the third year of a four year Bachelor of Engineering with Honours, majoring in Chemical and Bioprocess Engineering at Massey University. Darcy attended Havelock North High School and when he graduates in 2020 he plans to work as a process or environmental engineer. His training at WTHB will involve up to four week’s training prior to him being assessed as being competent to work in the field unsupervised. Water Testing Hawke’s Bay General Manager, Cynthia Bowers, attended last week’s public meeting in Waipawa to discuss water issues in Central Hawke’s Bay. “We have a key role to play in supporting the monitoring and testing regime of Councils and private clients and our attendance at meetings such as this ensures that we are well informed and abreast of issues. This enables us to respond promptly when our clients need our help.” Ms Bowers said. Water Testing Hawke’s Bay welcomes the changes to Drinking Water Standards announced recently by the Minister of Health and to take effect from 1 March 2019. Our laboratory currently reports enumerated results to our local government and private clients, that is we provide a count of total coliforms and a count of the number of E.coli bacteria in samples. Enumerated results will be mandatory from 1 March 2019. We are one of only two laboratories in the Hastings / Napier area to be accredited by IANZ (International Accreditation New Zealand) to perform these tests. Our team looks forward to participating in the wider review of Drinking Water Standards to be consulted in mid-2019.